Since dlvr.it’s earliest days, we’ve been dedicated to providing powerful tools that make sharing content easy. With that in mind, the development of our product has always been shaped by the needs and requests of you, our loyal users. 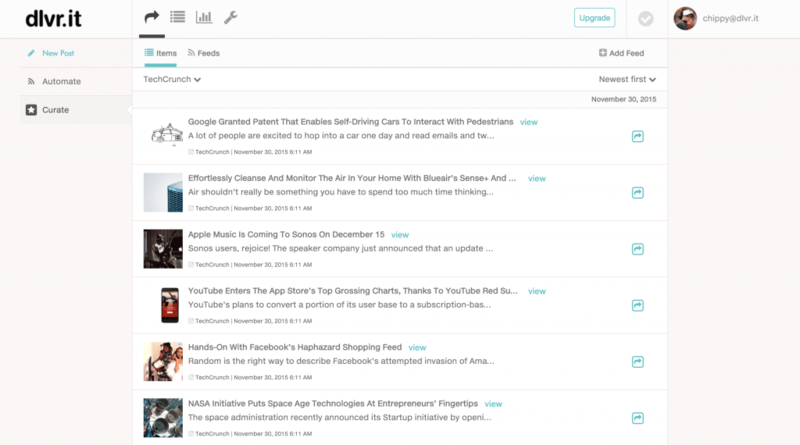 For years, we’ve been focused on building and refining the core features you need to efficiently find and share great content with your friends, fans and followers across your social media pages. Along the way, the experience of using dlvr.it has been important to us. So, we have exciting news to share. We’ve been hard at work on a new user interface for dlvr.it, and we’re excited to give you a sneak peek! 1. 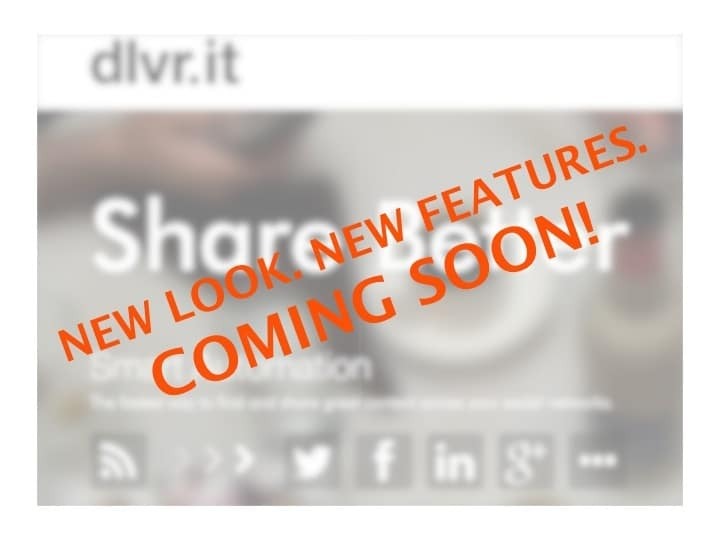 It’s time to freshen up the look and feel of dlvr.it. We’ve had a relatively consistent UI for the last few years – and while familiarity can be a good thing, we’re excited about a much more modern user experience. 2. We’ve added many features over the last few years. And admittedly, these new features have not always fit seamlessly or elegantly into the dlvr.it user interface. Further, we reached the point where many of the new features our users have been asking for just didn’t have a home in the old dlvr.it UI. The new design integrates existing features more elegantly and provides the foundation for many new features to be rolled out in the coming weeks and months. 3. There are also changes to the way some things work. While we generally don’t want to change the tools our users are familiar with, we’ve made some changes. These changes reflect some core updates to our architecture. While some features might work a bit differently with the new design — we believe the changes were necessary to allow dlvr.it to create and bring to life new features and tools that our existing architecture could not elegantly support. 4. 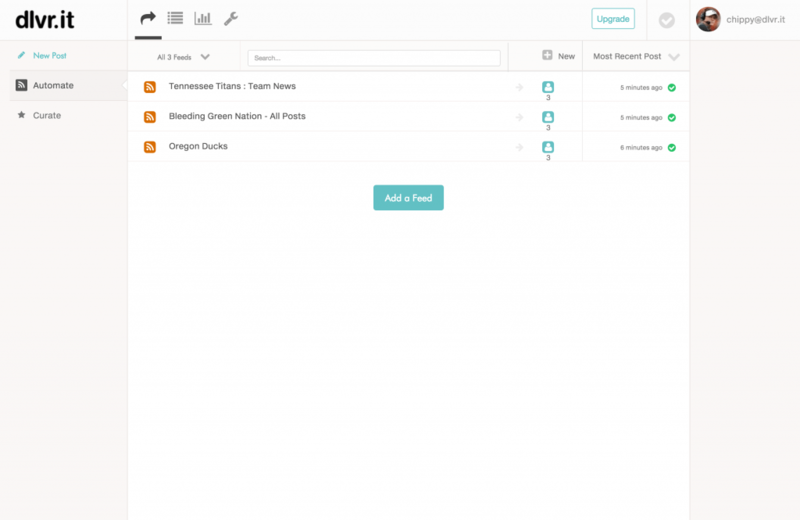 In addition to the new design, we’ll be introducing some very exciting new features along with new layouts. We’ll write more about this in the near future. In short, we’re thrilled with the new design! The updated look is exciting and fresh. We think you’re going to like it. A lot. Here are a few screenshots of the new dlvr.it. Let us know what you think! We’re serious, let us know what you think! please make backups I have so many feeds and cannot have any issues. there is a wish to see more colors..
Can’t wait. I love using this tool and set up all my clients on it! I hope you’ll add the feature of showing our existing feeds in a alphabetical list, its not easy finding a feed to add to a new route with them all mixed up. Sounds great! I love the new layout. Do these plans include development of an app for Android and iOS? That would be convenient. will you change the way for login in? Now i must log in then nothing happen then must back to home and click your account. can be this same like for millions other pages that when you click log in you going to your account straight? 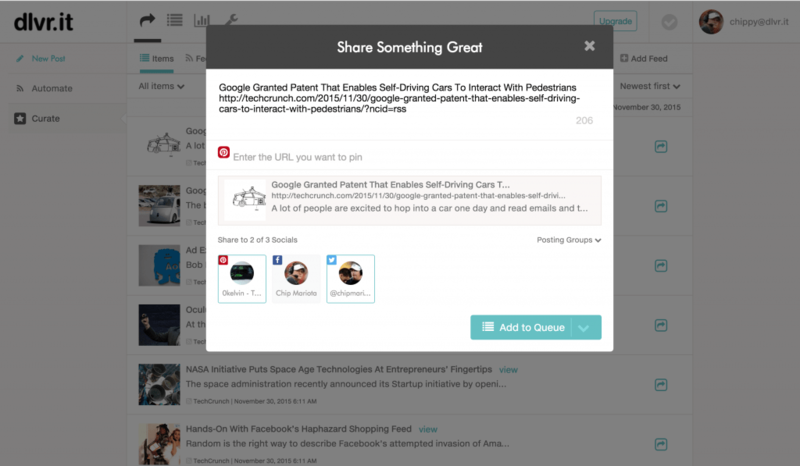 Could we please have auto hashtagging based on a WordPress post’s tags as well as categories?